If there’s one topic that people can’t seem to get enough of, it’s cord-cutting. The response to my cord-cutting articles is always big. It seems that readers either want to cut the cord, or they’ve cut the cord, or they’ve tried and failed and need some advice. Telling the cable or satellite company you’re leaving is a big step, but hopefully you’ve done your homework. If you have a cord-cutter in your home, or you know someone who’s considering it, here are a few items that will help make things go smoothly. What is it? The 6-Series is an LCD TV that is powered by the Roku operating system. It does a great job of bringing over-the-air signals, set-top boxes and Roku streaming apps together in one easy-to-use interface. TCL is an up-and-coming TV brand that’s garnering great reviews. 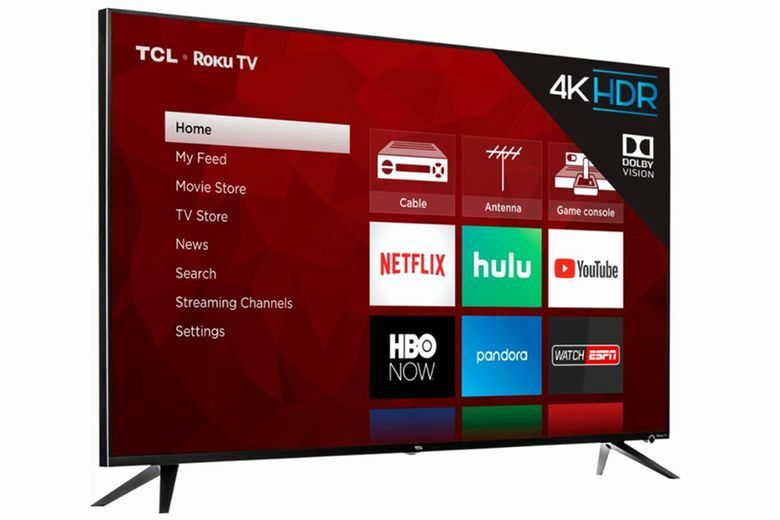 The 6-Series Roku TV from TCL is the best I’ve found for under $1,000. Who is it for? Cord-cutters, or anyone, in the market for a new 4K TV who’s not ready to spend a whole lot. Note: If you like your current TV, you can buy a Roku box or stick and add the same streaming functionality. What is it? Apple’s latest streaming box. 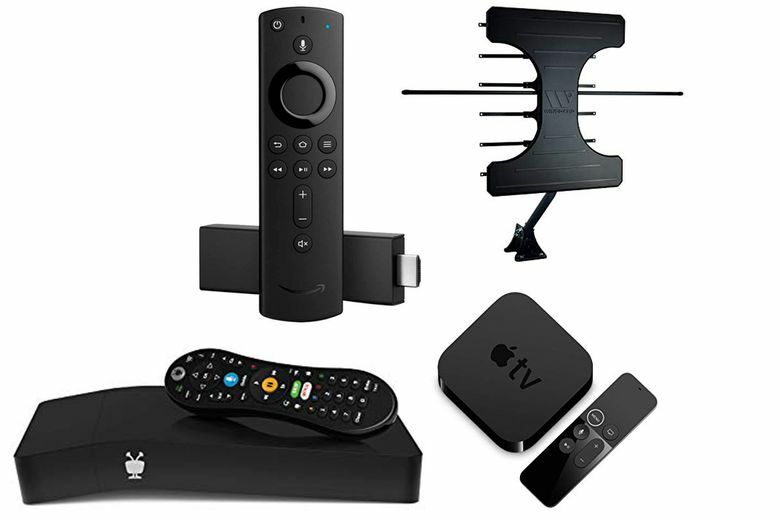 It connects your TV to the internet so you can stream from services like iTunes, Netflix, Hulu, Amazon Prime and others. If you have a 4K TV, make sure you have the latest version of the Apple TV so you get the most resolution from your TV set. What is it? Amazon’s streaming device takes a smaller form with the Fire TV Stick 4K. It looks like a large flash drive that plugs directly into your TV’s HDMI port. Connect it to your home Wi-Fi network and you’ll be ready to stream the latest content from Amazon, Netflix, Hulu and live streaming services like Sling TV. The Fire TV Stick 4K has a voice remote and it has Amazon’s Alexa voice assistant on board so you can ask Alexa to pause the video or tell you whether it’s going to rain tomorrow. What does it cost? $50, but watch for sales. What is it? A digital video recorder that receives and records over-the-air signals from your digital antenna. The Bolt OTA also connects to the internet so you can stream from services like Netflix, Hulu, YouTube and others all from the same box. The Bolt OTA also works with Amazon’s Alexa for voice control. It has a 1 TB hard drive and can record up to four shows at once. Who is it for? Cord-cutters who want to record their OTA (over the air) broadcast shows. What does it cost? $250 plus a monthly fee for TiVo guide service at $7 per month, $70 per year or lifetime service for $250. What is it? An over-the-air tuner and DVR that doesn’t connect directly to your TV. You place the HDHomeRun in your home wherever you can get a good antenna signal, then you connect your home’s network through Wi-Fi or Ethernet. Then you can watch up to four OTA shows at once on streaming devices and computers in your home or on the road. You can add a DVR option for $35 per year. What does it cost? $150. You’ll need to provide your own storage for the DVR. There is also a two-tuner version for $99. What does it cost? $60 or less. Shop around. What is it? 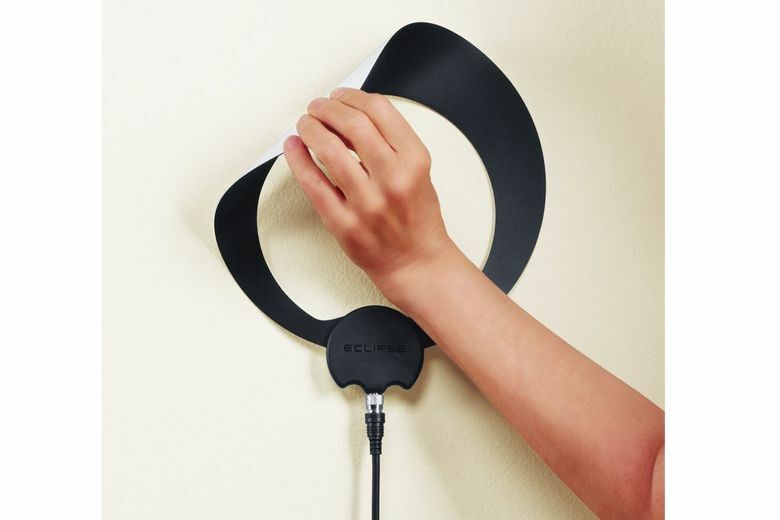 A directional antenna for outdoor use. Point it toward the broadcast towers and it’ll bring in channels from up to 70 miles away. Also good for attic installations. The 7550 has a built-in digital amplifier to help lock in those distant signals. What does it cost? $150.